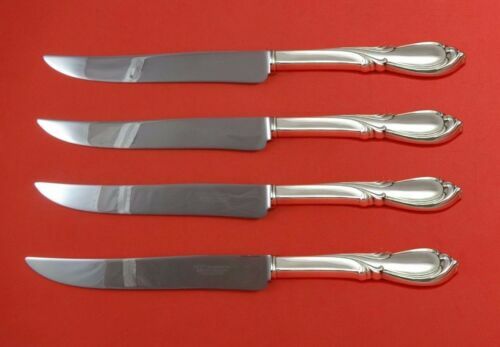 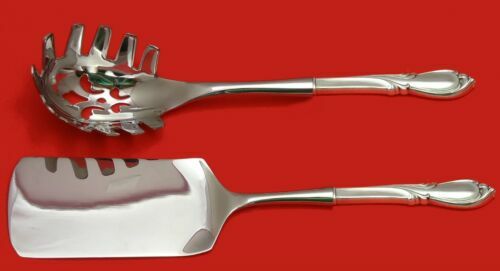 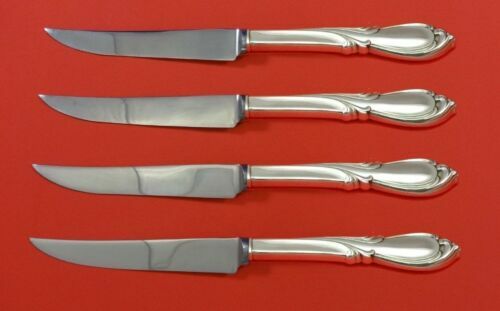 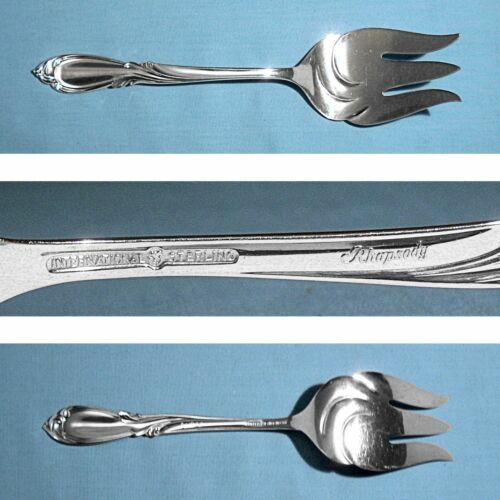 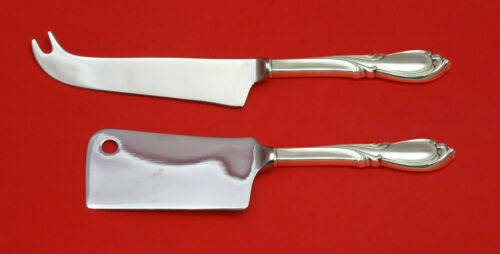 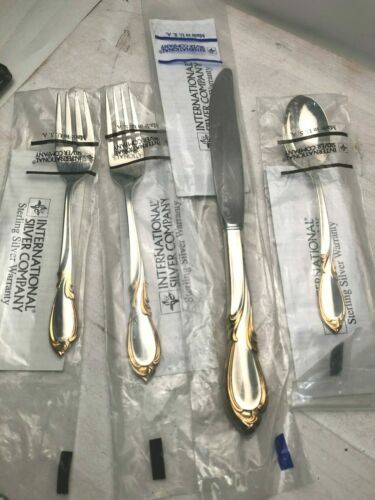 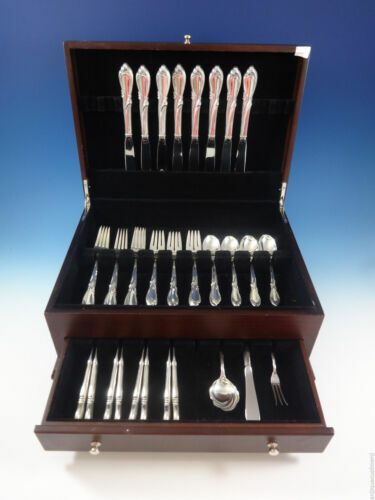 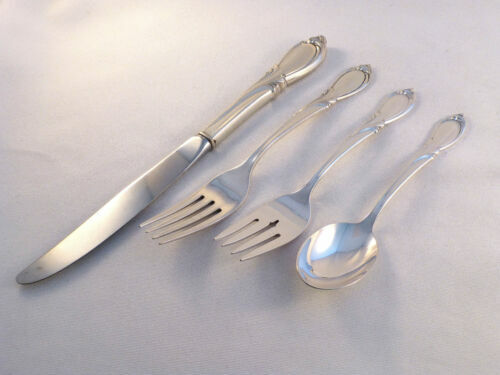 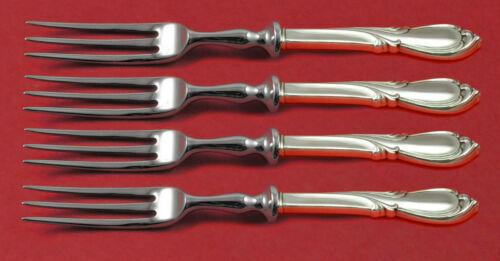 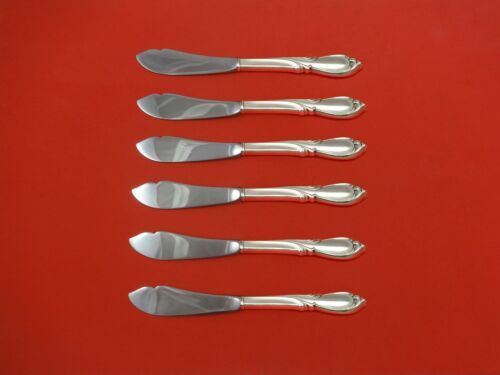 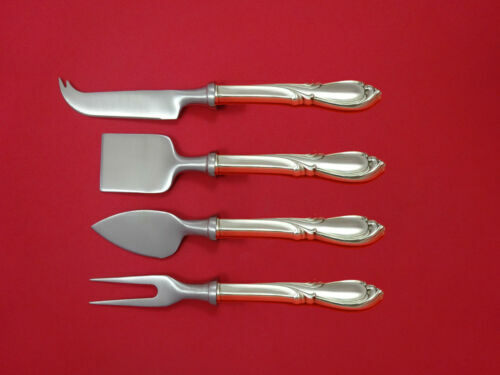 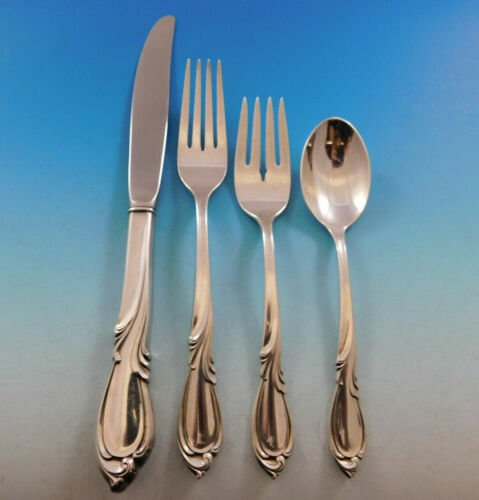 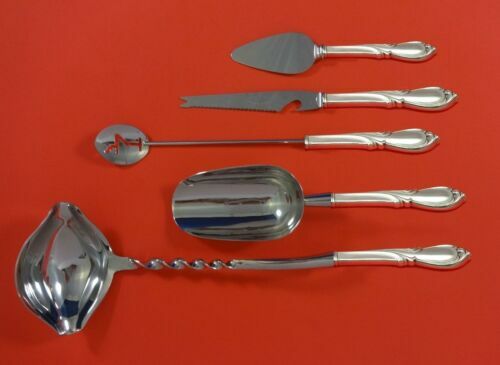 $279.0 Rhapsody New by International Sterling Silver Fruit Fork Set 4pc Custom Made 6"
$429.0 Rhapsody New by International Sterling Silver Trout Knife Set 6pc Custom 7 1/2"
$1800.0 INTERNATIONAL "RHAPSODY" STERLING SILVER FLATWARE, 12 PL SET, 64 PC, XLNT COND. 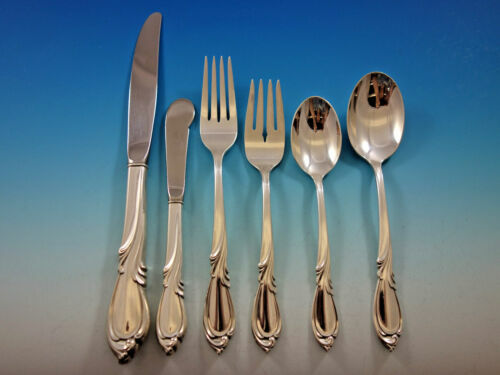 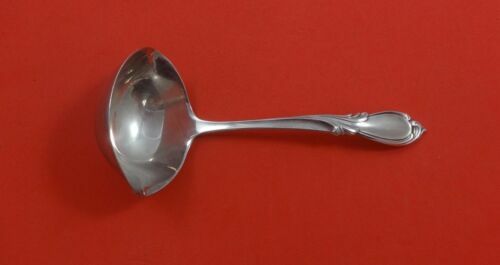 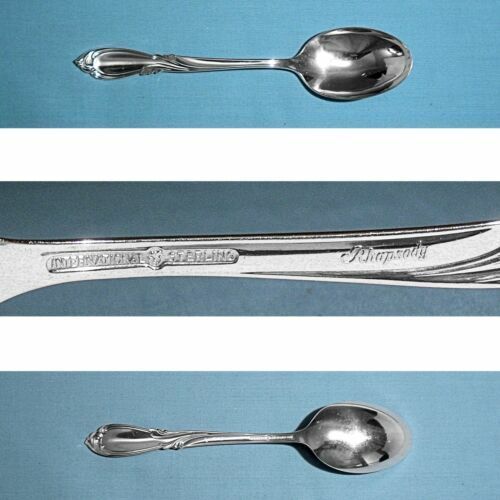 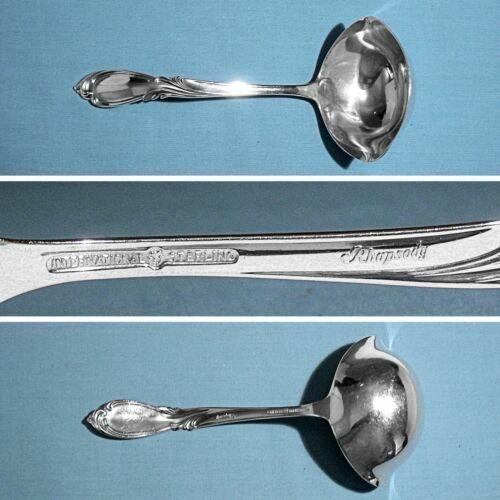 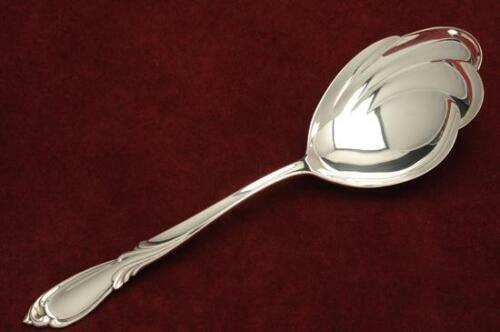 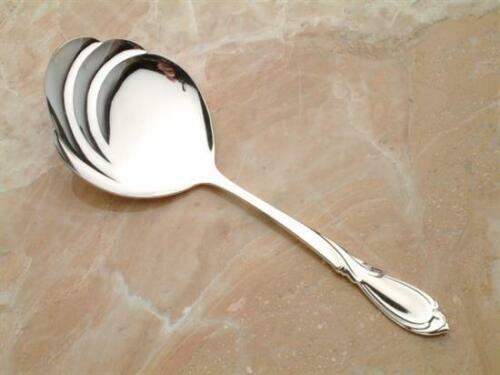 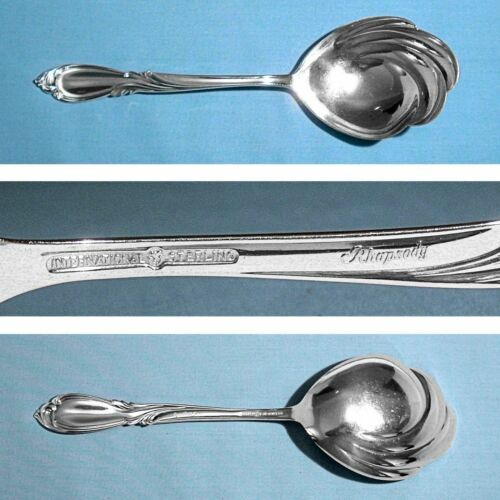 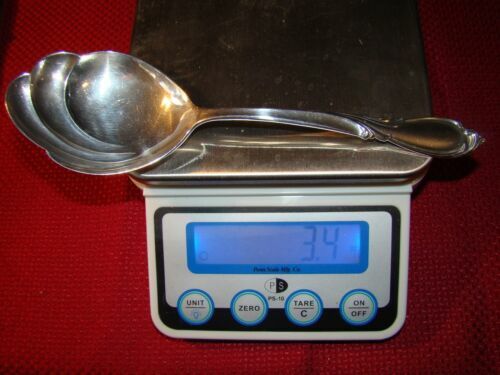 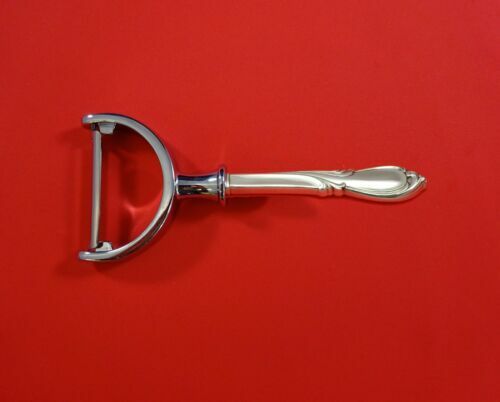 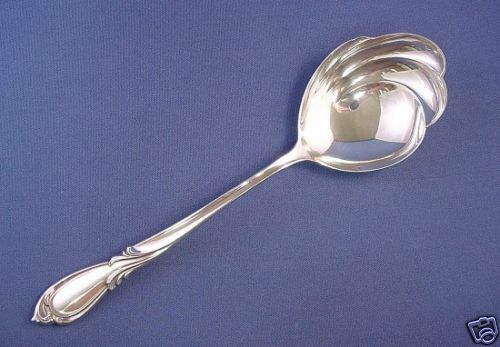 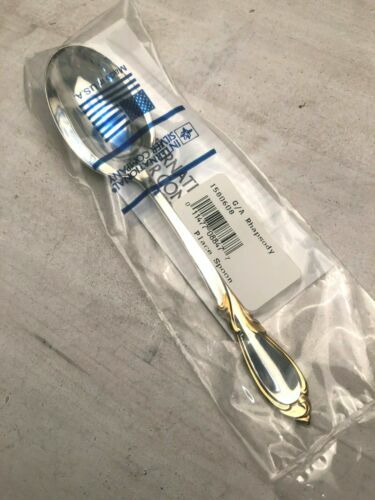 $189.0 Rhapsody Old by International Sterling Silver Berry Spoon All Sterling 8 7/8"
Buy: $1899.0 International Sterling Silver Rhapsody Flatware Set for 8 - 32 Pieces UNOPENED! 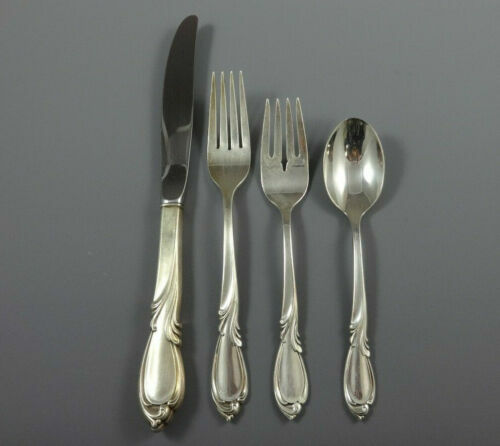 $259.0 Rhapsody New by International Sterling Silver Salad Serving Set 2pc Original 9"
$189.0 Rhapsody New by International Sterling Silver Tomato Server Not Pierced 7 7/8"
$149.0 Rhapsody New Gold by International Sterling Silver New Pierced Serving Spoon 8"
$159.0 Rhapsody New Gold by International Sterling Silver Tomato Server New 8"
$109.0 Rhapsody New by International Sterling Silver Serving Spoon 8"
$99.0 Rhapsody New by International Sterling Silver English Server Custom Made 7 1/2"
$139.0 Rhapsody New by International Sterling Silver Salad Serving Fork 3-Tine 9"
$109.0 Rhapsody New by International Sterling Silver Gravy Ladle 6 1/4"
$109.0 Rhapsody New Gold by International Sterling Silver New Place Soup Spoon 6 5/8"
$139.0 Rhapsody New by International Sterling Silver Vegetable Peeler HHWS Custom 6"